You are here: Home / How To Get Rid Of.. / How To Get Rid Of Insomnia? When looking for advice on how to get rid of Insomnia, you will come across various techniques such as meditation, relaxation exercises, following sleep hygiene tips (good sleep habits that promote refreshing sleep), etc. Insomnia is a sleeping disorder with symptoms like difficulty falling asleep, waking up in the middle of the night but having trouble in falling asleep again, tiredness on waking up, gastrointestinal troubles, difficulty concentrating, irritability, tension headaches, and so on. Proper sleep is important for your overall health. 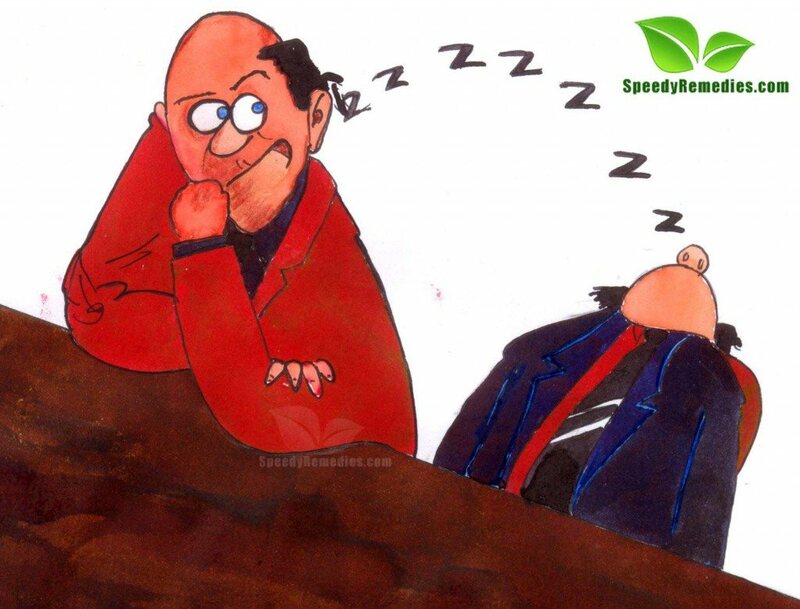 To begin with, lack of sleep leads to drowsiness during the day. In addition it causes general tiredness and fatigue, both mental and physical. Moreover, sleep deprivation leads to decrease in leptin levels and increase in ghrelin levels. Thus, it stimulates your appetite and you do not feel full even after taking your normal diet, thereby encouraging you to overeat resulting in weight gain. Insomnia can be caused by chronic stress, depression, anxiety, physical discomfort, environmental factors such as noise, temperature extremes, sleep apnea, jet lag, and certain medications like the ones meant for treating allergies, common colds, asthma, etc. Besides, stimulants like caffeine and nicotine are also associated with this problem. Taking warm milk half an hour before going to sleep is highly beneficial in inducing sleep and getting rid of Insomnia. There is a sleep enhancing amino acid in milk. You can also have a light snack like cookies or crackers. Herbal remedies such as herbal teas and supplements are useful in healing this problem. Valerian root is the most effective in this regard.Besides, you can try herbal infusions or baths prepared from chamomile, passion flower, hops, St John’s wort, lemon balm, wild lettuce, and so on.Drink herbal teas or decoctions about 30-60 minutes prior to bed time. In case you want to induce sleep to achieve lucidity in dreams, try kava kava because it enhances dreaming. You can have catnip tea, fennel tea, or oat seed tea as well. To prepare a herbal infusion, take two teaspoons of dried herb in 250 ml water and let it steep for about five to ten minutes. When dealing with Insomnia caused by anxiety or depression, take Holy basil capsules (500 mg) two times in a day. Simply inhaling lavender essential oil or massaging with a mixture of ten drops of lavender oil and an ounce of vegetable oil is useful in curing Insomnia. Boil a tablespoon of cumin seeds in two cups of water for five minutes. Finally, strain and drink the solution to reduce Insomnia. Melatonin supplements also help cure Insomnia. Adopt relaxation techniques like deep breathing, visualization, meditation, progressive muscle relaxation, listening to relaxation tapes, etc. You can also use yoga or tai chi to get rid of Insomnia. Enjoying a warm bath an hour before bedtime is another easy Insomnia home remedy. You can also combine this procedure with aromatherapy. When you do not fall asleep within half an hour of lying down, get up and engage in some other activity like reading a book or listening to soothing music; merely admiring the clock ticking will not help, in fact, it is likely to keep you awake for longerHere’s a video with calming, meditation music to aid in Insomnia relief. Do not sleep during the day, especially after 3 pm. In case these suggestions are not giving encouraging results and you are still looking for effective ways on how to get rid of Insomnia then you can take consult a doctor and tale prescription sleep medications for temporary relief.